ZARYS FABUŁY The Golden Ball is a wonderful children's film that tells of a young boy's dream of being a soccer player. Whenever a match is broadcast live in the village of Makono, Bandian and his brother keep their ears to the transistor radio, spinning a picture of the game from the announcer's commentary much as they fantasize themselves on the field. 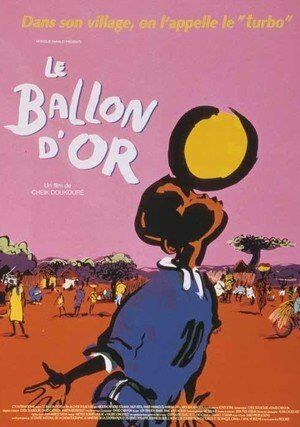 A gift of a real soccer ball, which Bandian paints gold, like a magical object involves him in a series of adventures which bring him in reach of his dream, but which also require him to make difficult choices.